Is the 18MP 1D X really part of Canon’s desire to challenge Medium Format?Will we see something with more MP, maybe using a variant of the 5Ds sensor? I’m keeping this page going for reports and rumours relating to a higher MP camera, aimed at the old 1Ds market. The Nikon D800 and 800e re-kindled the ‘studio camera’ rumours, and the 5Ds shows Canon are thinking of that market. Another reminder – This is a RUMOURS page which reports stuff we are sent or find on the web. 18th In a ‘new Canon DSLR for 2018’ rumour [CR], one of the suggestions is for a true successor to the Canon 1Ds Mk3… hence the mention here. Any 1DXs(R) woud need to show some appreciable advances over the 5Ds for me to fork out for a second 50MP body. I really like 1 series ergonomics, but maybe not any price it’s likely to be pitched at. 13th The 5Ds/5Dsr at 50.6MP may well damp down high MP rumours for a bit, and the 1D X mk2 is pushed back to 2016 by some. It’s been suggested that if the 5Ds/sr does really well we may yet see an ‘s’ version of the 1D X, but not for quite a while yet. 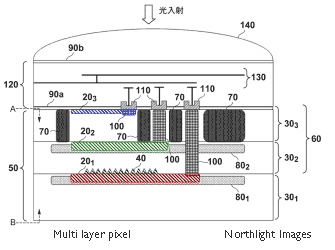 8th Latest multilayer sensor rumours for next year from Canon [CR] revive suggestions that we will once again get a high end high megapixel camera. It seems that Canon have also been telling some people that such a camera will be along “sooner rather than later”. Higher – higher than what? See the 3D page for collected high MP info. 19th We’re told [thanks] that a high MP ‘pro’ camera will make an appearance at Photokina. It won’t be a 3D and will be positioned as a major advance in the capabilities of the 1 series. It will not be ‘dual pixel’. It’s specifically -not- an update for the 1D x, that comes later and will feature a ‘dual pixel’ sensor. It’s suggested that several of next year’s new lenses will be ‘L’ rated and announced at the same time emphasising resolution and image quality. Sounds reasonable, and we’re told that more details will be ‘leaking out’ before CP+ This does fit in with other info we’ve recently been sent. However, it still falls in my ‘long way out’ category, so keep that pile of salt handy. So, maybe asomething in the same timeframe from Canon? 20th We’re told (thanks) that a ‘high end’ 1 series will be announced next year, at around the same time as a Nikon D4X, with ‘lenses to match’. There is aparently, a desire not to repeat the launch of the 1DX, which predated the D4, but with no sign of a camera until well after the D4 (and D800) actually shipped. One of our previous US studio sources has said that they were asked about testing a new body in March, no earlier, since all the test units would be at Sochi for the Winter olympics. Whilst this fits in with previous information, it’s still not a direct report from someone handling a camera. 13th Suggestion of a ‘new 1 series body’ in a ‘7D Mk2 next year’ rumour [CR] no other info at all though. 31st We’re told (thanks) that Canon wants to introduce a new top end 1 series (stills) camera body, with an announcement in Q2 next year. It will come in at similar relative price points to the 1Ds2/3, and will see a modest reduction in the 1Dx price beforehand. It will not ship until well into 2014 though. Detailed specs were not part of the info being fed to selected dealers, but the info was in the context of enhancing the relevance of top ‘Pro’ dealers to professional users, including current medium format users. Something new? See the picture on the main rumours page. 24th Another suggestion of the next 1 series at 44.7MP [CR] – under testing? Probably way too many MP for a 1D X mk2, so are we going to see a return to the old D/Ds split in the one series? I’ve heard from several former 1Ds3 users that they feel that the ‘studio’ side of Canon’s cameras seems to have put to the back of new camera design of late. 30th Canon press event scheduled for Weds. 21st August in the US [PB] – new EOS-M is top of the list though. All our earlier snippets of info this year suggested that nothing would ship until 2014, although we could yet see a ‘preview’ announcement. Not sure if Canon would really want to dent 1D X sales with a hint at such a big jump in capabilities. And now, a camera for next month: “Canon will launch a DSLR with a 44.7MP sensor (8192 x 5462) that provides 4K cinema capability without bayer artifacts, and can do UHDTV with a slight crop.” [PB]. 24th After yesterday’s info, I asked for clarification if this meant 25MP – ‘actual pixels’ [my emphasis] and I’m told that it does and that the design still faces design competition from higher (40+MP) Bayer sensors. I’m assuming that until someone measures performance and cuts open a 70D sensor and looks with an electron microscope, we won’t know if there are any significant changes to Canon sensor fabrication processes that might give clues? 23rd In an interesting twist on the ’75MP’ 1 series, we’re told (thanks) that the 75MP is a ‘total usable photosite’ count and refers to a non Bayer multilayer sensor that is similar to that which appeared in a Canon patent back in May. This has blue/green/red layers. 21st An interesting rumour [PB]. that there is a 75+MP one series body out for testing. No real details other than a high frame rate and very high res back LCD. Possible announcement later this year, but no camera until next. 24th We’re told [thanks] that a ‘preview announcement’ for a high MP camera is likely for September/October, along similar lines to announcements associated with some of the recent EOS video cameras [hopefully not for a timescale like the 200-400 lens] and that it is currently most likely at around 47MP, although 39MP and ’50+’ versions are in test. The camera is dependent on technologies that will appear later this year in the 7D Mk2. Given the distant time frame I’m still only giving this a ‘that would be nice’ level of confidence, even though it’s from someone I’ve known for a while. Plans change, but I was told that the D4x was seen as a very definite competitor. 6th In a flurry of information (from people I’ve actually heard from before), we’re told that there will be a high MP 1 Series style body [thanks], but it won’t be shipping until well into 2014. 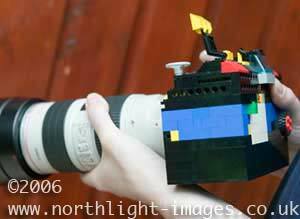 This ties in with another comment that this year is one for ‘the small DSLRs’. 21st Whilst we’ve heard nothing more about any impending announcement (other than there would be no actual product launch), we’ve had several observations of camera testing, pointing to (at least) 2 different full frame sensors currently in circulation. From the US, a 39MP sensor in a 1 series body, has apparently been used for several test video productions. In the Far East, two other comments both pointed to ‘well over 50’ MP, once again in a 1 series body. All stressed that these were not production model test cameras. Whether we do get the previously hinted at ‘technology development’ camera soon is far from clear. We’re probably too far away from any product launch (and lengthy wait for shipping) for anything we’re seeing at the moment to be much more than engineering tests. 11th Suggestions [CR] that any high MP camera mentions will be no more than a ‘technology development’ style of announcement for the time being. 7th New Canon high MP camera rumours seem to be popping up all over the place. But what to call the camera? 28th In an update to the high MP info, we’re told [thanks] that a camera will eventually appear in a 1D X derived body, in the same way as the 1D C. The information said that the actual designation was not known, but it would essentially be a ‘1 series’. There was also a warning that there would be a long wait between any ‘preview’ and any cameras [sic.] being annouced and subsequently shipping. 23rd Comments received about a high MP camera – no mention of body though, so put the info on the 3D page. 12th We’re told [thanks] that Canon’s high MP camera will -not- be a new body style, as in the various 3Drumours we’ve seen, but will see the latest version of the 1 series body. It’s suggested that there will be a preview of this camera at a post Photokina event, with the emphasis on resolution, dynamic range and a true challenge to digital MF. The camera is aimed at showing ‘clear technical leadership’. I think Canon did mean it for real when they killed off the Ds line at 1D X announcement. The cameras we’re hearing of are an ‘introductory level’ full frame option – lets call it an EOS6D and a high MP ‘studio’ FF camera, which given its inspiration (the D800 amd 800E) I’ll put into our longest running (2004) EOS3Dcategory. 20th Even with the D800 coming in at 36MP, we’ve not heard a thing about any 1 series camera at this sort of resolution. The 5D3 (or 5D X if you wish) seems a popular expectation for the next few weeks, and there is a 650D due some time, along with the Canon ‘concept video DSLR, and even a 7Dmk2. A Canon exec in Japan recently admitted [link] what was widely suspected in that the 1D X was essentially a full frame 1D mk5 and firmly aimed at the sports/PJ market – whilst of the D800, there was a ‘we could do that’ comment. 14th I’m told (thanks) that the ‘challenge’ to digital MF is not over. There are still test bodies out there with ‘far more MP’ oriented to studio use, but that these are not actual models, and not to expect to see anything ‘for real’ in the ‘pro’ line until at least 2013. It seems that the 5D2 did indeed hit 1Ds3 sales enough to make a 1Ds4 (as planned) just not good enough to go with. It was confirmed that the Olympics and Canon’s big customers were the driving force for many 1D X design choices. Lack of direct competition from Nikon and what was known about the (delayed) D4 were also a push to make the 1D X a bigger jump than ‘just the next 1D’. There was no info about how a follow-on to the 5D mk2 fits in with all this. This ties in with other info I’ve had, suggesting that if I want to replace my 1Ds3, then I’ve the choice of a 1D X or quite a long wait. 28th Another comment (thanks) telling me to expect a ‘better’ camera announcement for Q1/Q2 next year. I’m minded to think that announcing a ‘studio’ version of the 1D X some time -after- the 1D X starts shipping and people wanting to replace their 1Ds3s have bought one, would not be a well received move. 19th We’re told (thanks) that a much higher resolution camera was being tested earlier this year, but events in Japan, the upcoming Olympics and Nikon D4 mean that any studio version of the 1D X is ‘some time away’. I note in the timeline below that the 1Ds was announced over a year after the 1D. At the moment I’m not giving too much credence to Xs rumours, but I am getting a lot of queries as to whether the new 1D X is -really- aimed at studio and architectural users? 18th Today, the 1D X was announced – finally the 1D and 1Ds lines were amalgamated. Curiously enough, we’ve already been sent some details of Canon’s future plans for this camera. 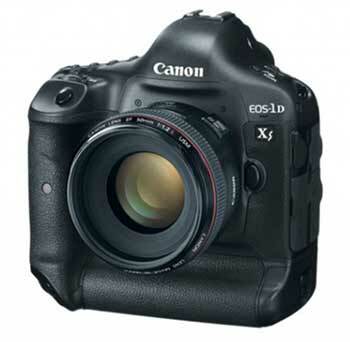 “… 1DX represents Canon’s biggest break from the previous 1 Series for many years, with a lot of new design features. There will be a studio version late next year or early 2013 with 40+ megapixels. Well, I suppose it does fit with what Canon have said in the past, but I’ll await more on this before I’ll give it too much credence. Similar suggestions [BKI] – suggesting that the studio version might be for the Nov 3rd event, although the Hollywood location hints at video for myself.